(Charlottetown, P.E.I.) The world premiere of On the Road with Dutch Mason is set to open at The 2018 Charlottetown Festival at Confederation Centre on June 30, and Islander John Connolly will star in the role of Dutch Mason. After a slew of auditions this winter, Artistic Director Adam Brazier said it was a no-brainer to choose Connolly to play Dutch Mason. 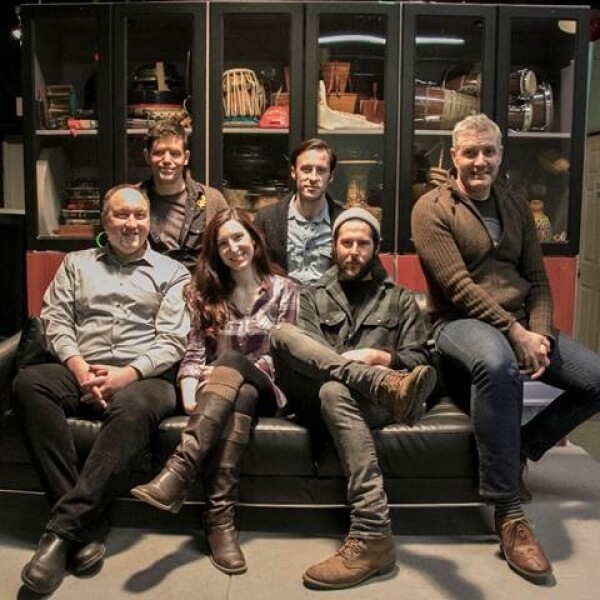 Photo cutline: The cast of On the Road with Dutch Mason includes (L-R) front row: John Connolly, Hailey Gillis, Edward Murphy, and Brendan Wall. Back row: Cameron MacDuffee and Greg Gale. Opens at The Mack June 30, 2018 as part The 2018 Charlottetown Festival.